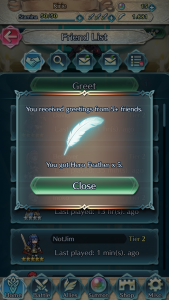 Although there isn’t too much that you can do with your Friends List yet, on the opening page of the menu, you can “Greet” your friends once per day. 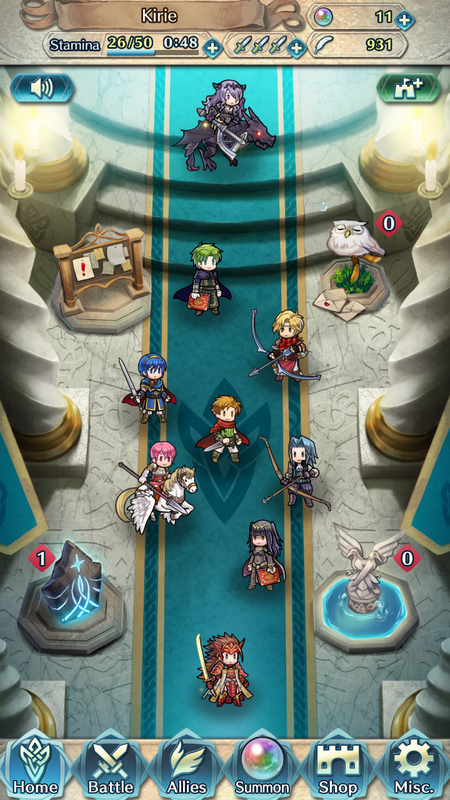 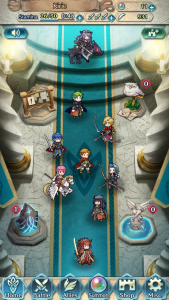 Doing so gives you 5 bonus Hero Feathers, and you can get up to 5 additional Feathers each day from your friends greeting you in return. 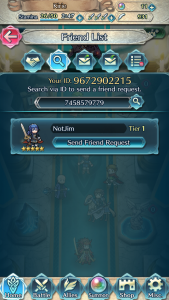 This page also shows your friends’ Arena ranks and how recently they last played the game. Friends who choose to greet you in return may also visit your castle. 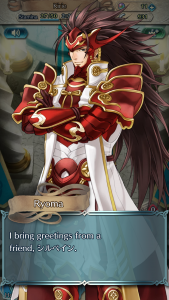 Their leading hero will walk in at the bottom of the screen and give you a personalized message. Speaking to a friend’s hero in this way functions the same as pressing the green “Greet” button at the top of your Friends List. 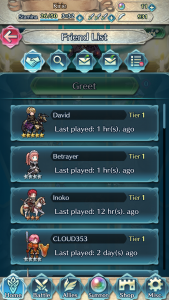 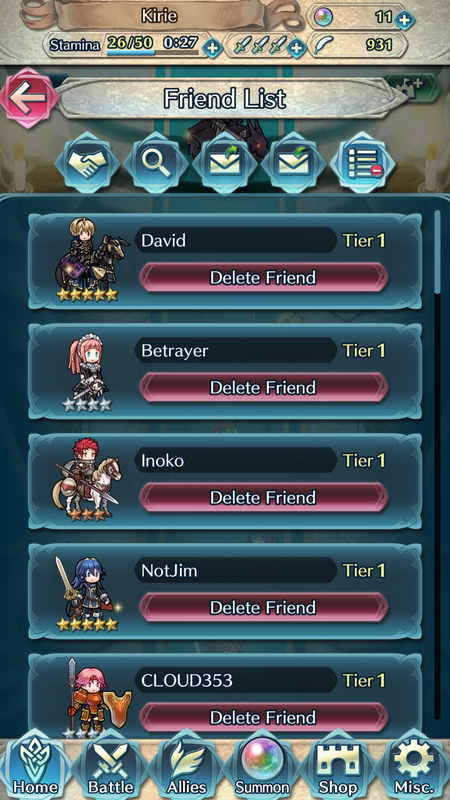 The second icon in the Friends List menu brings you to a search screen to add friends to your list. 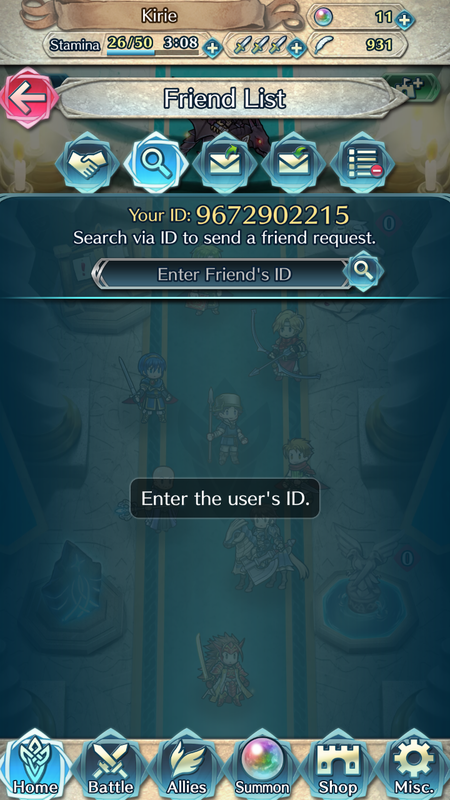 Simply enter your friend’s ID and tap the button to send them a request. 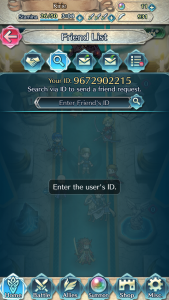 Your own Friend ID is also listed on this page for you to share with others. 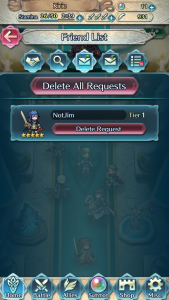 You can view any pending requests that you may have sent via the middle icon in this menu. 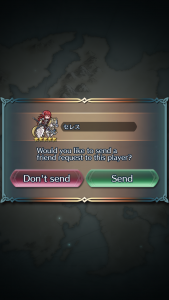 Outside of gather Friend IDs directly from other players, you can also befriend players you fight in the Arena. 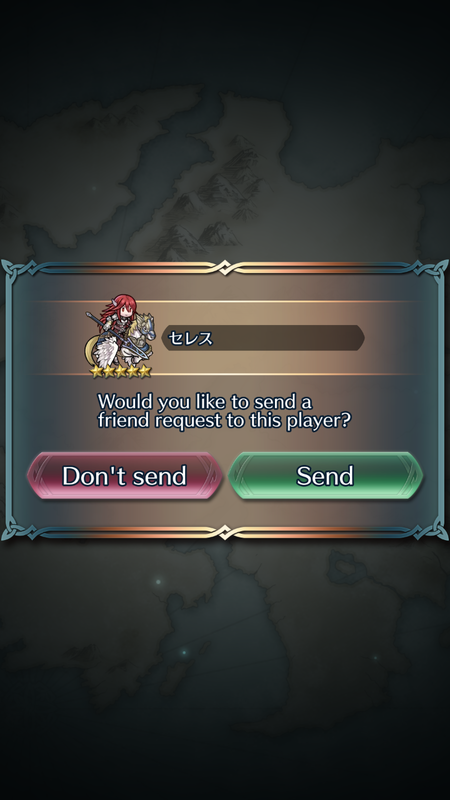 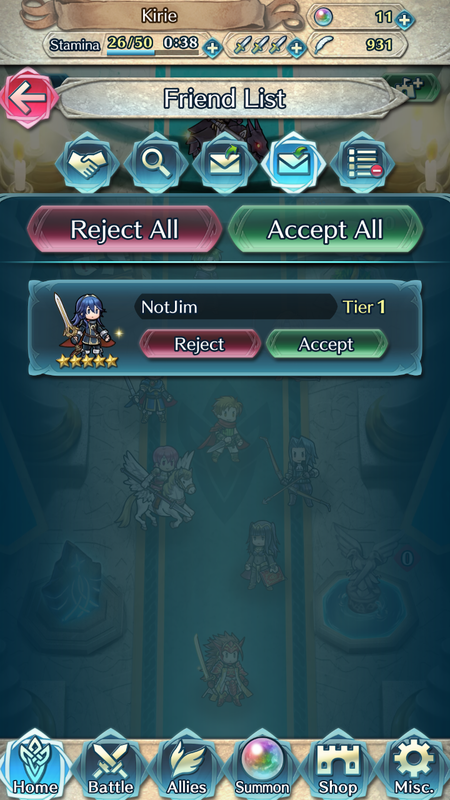 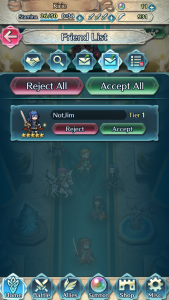 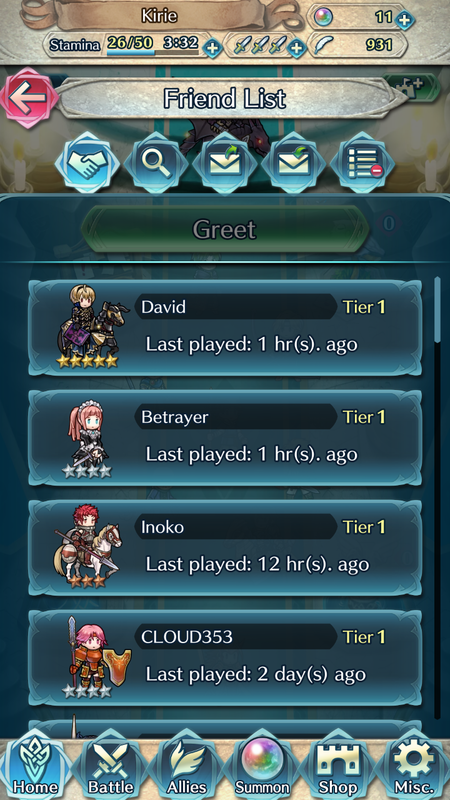 After an Arena battle is complete, you have the option to send that player a friend request, letting you friend people even if you don’t know them. 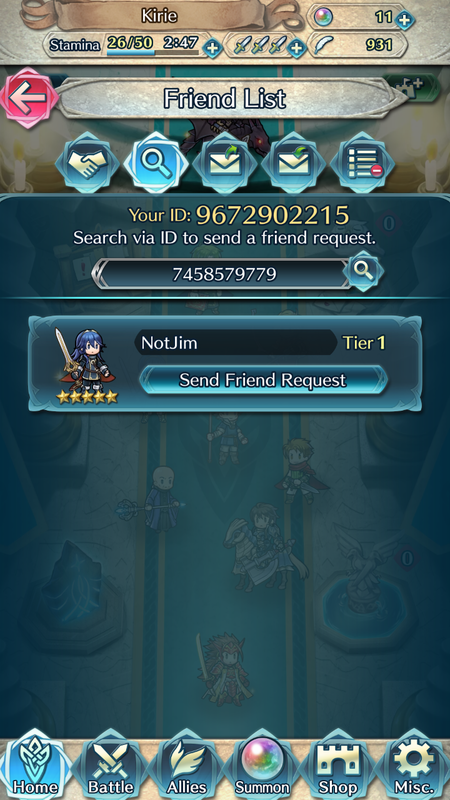 If someone has sent you a friend request, the number of requests will appear as a pop-up above the statue on the home screen. 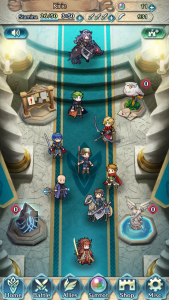 The glow pattern of the statue will also change slightly. 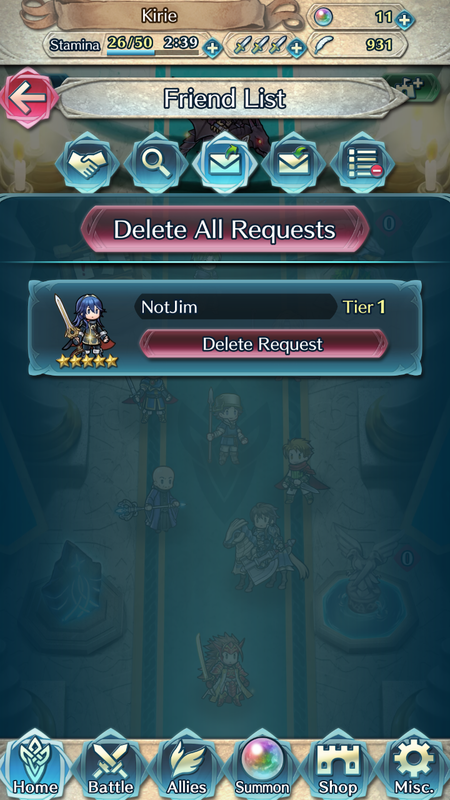 You can view these requests via the fourth icon in the Friends List menu, and accept or delete them how you wish. 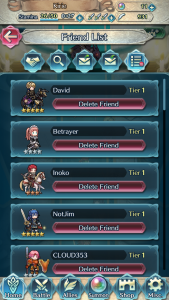 The final icon shows your full Friend List and gives you options to remove friends if you wish. You have a limit of 50 friends, so choose them wisely!